Promotes detoxification, extract pore clogging impurities and improve skin texture, with this black creme mud. Organic silts are collected from deep underneath 30,000 year old fresh water lakes in Eastern Europe. Most effective when used with Biotone Detoxifying Customizing Complex. Black Baltic Body Mud / 168 oz. 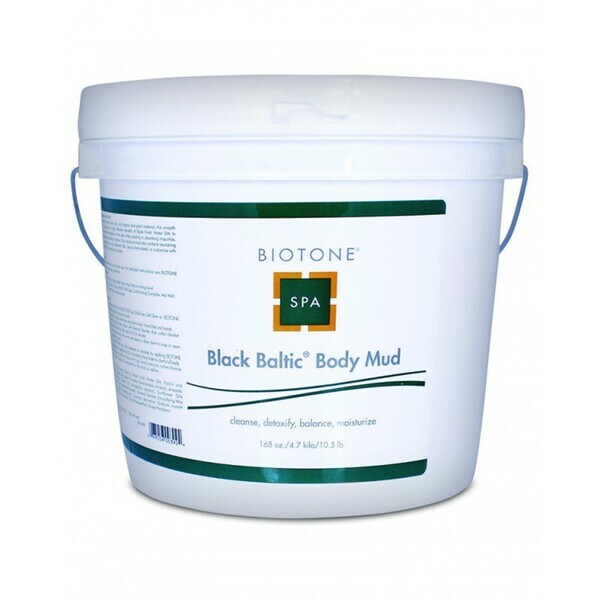 Black Baltic Body Mud / 46 oz.